Listen to me. I love Johnny Depp. I loved him before it was cool to love him. I’m a total hipster for Johnny Depp. So it continues to pain me to say: WTF, Johnny? WTF? But maybe my WTF feelings in regards to Mr. Depp will begin wearing off before long. The information that his production company Infinitum Nihil are apparently behind the production of Disney’s as-yet untitled movie about Paul Revere fills me with some hope/trepidation. Then there’s the info that the company have reportedly tapped writer E. Nicholas Mariani to re-write the script by the original team of Lee and Janet Batchler (Batman Forever, which gives us some idea of the probable quality). The film will focus on Revere’s famed ride from Charlestown to Lexington as he warns the American Colonial militia that the redcoats have landed. The tale is all kinds of iconic, if slightly apocryphal in places, so it’s no wonder that Disney has jumped on it. Mariani’s current claim to fame is his un-produced 2011 script of Desperate Hours, which Infinitum Nihil has actually picked up, about a town in World War I faced with the Spanish flu, invasion and the appearance of a young girl covered in blood. Sounds like just the guy for Disney to hire, doesn’t it? Actually, this sounds kind of interesting. While I can see Revere’s ride making a really ridiculous Disney film – especially if Depp insists on playing the part himself, which is not forthcoming – the hiring of Mariani gives me pause. Desperate Hours is certainly not Disney fodder, so maybe the Revere film will not be as potentially cutesy/action-y as I feared when I began writing this article. 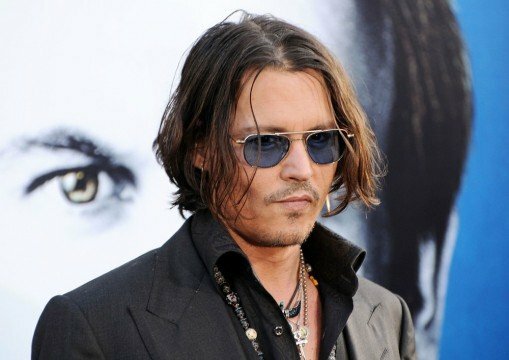 The fact is that I desperately want to start liking Johnny Depp again and he’s made it awfully difficult in recent years. We shall see what Mariani can come up with on this one.